Updated and expanded edition now available! Description: In the extraordinarily personal style we have come to expect from McKenna, the reader sees Mary as never before, through the scriptures, and through the meditations on her life and meaning for Christians today. McKenna’s reflections begin with the story of Our Lady of Guadelupe and end with the watch at Calvary. Illustrations. 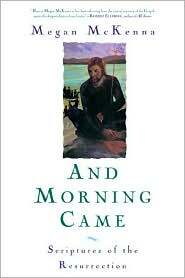 And Morning Came: Scriptures of the Resurrection – this edition is out of print. Description: An exploration through the Scriptures of the Resurrection, in which Megan helps us know each of the Gospel writers, understand the world they lived in, grasp the unique aspects of their Resurrection accounts, and see the connections these accounts have to our lives. Description: Megan McKenna, the well-known storyteller and popular author, walks with us through the forty days of Lent and Holy Week. In two handy volumes – Sunday Readings and Daily Readings – stories and reflections are available for all three liturgical cycles, showing us how to imitate Jesus, encouraging us to resist temptation and to find our strength in the Eucharist, the Word of God and prayer throughout the Lenten season. The book includes Sunday readings for Cycle A, B, and C, including Palm Sunday and the Triduum. The three separate cycles of meditations for each Sunday include a unique story that illustrates and enriches the message of each reading, showing how it can empower us. 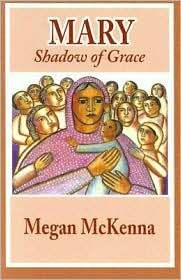 Description: Megan McKenna, the well-known storyteller and popular author, walks with us through the forthy days of Lent and Holy Week. In two handy volumes – Sunday Readings and Daily Readings – stories and reflections are available for all three liturgical cycles, showing us how to imitate Jesus, encouraging us to resist temptation and to find our strength in the Eucharist, the Word of God, and prayer throughout the Lenten Season. This book includes the readings for each day of the week plus Megan’s reflections and a brief story that illuminates the text. Megan McKenna presents the fourteen new stations with the scriptural passages that Pope John Paul II uses on Good Friday. She also provides a basic introduction to the practices and reflections on the importance of the devotion for present-day Catholics and Episcopalians. Description: Daily scriptural readings with insightful reflections. Commentaries by Megan McKenna.